To check out all these past events click HERE! 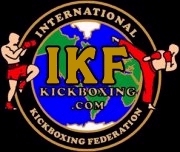 Event Referees: Dan Stell & Vichai Supkitpol "Rex"
IKF CALIFORNIA Locker Room Inspectors: Ron Estrada, Jesse Gasca, **David Gasca & **Jose Rueias. Amanda De Rosa had a 1 point deducted in the second round, after unsportsmanlike conduct when instructed to stop. De Rosa pulled Vanessa Gonzalez Leon down from behind by the head to the mat after Referee instructed fighters to stop. Defeated **Vera Lam (San Diego, California, USA, 0-1, 108.6, 5'3", 6-22-90, Steven Frye, (619) 793-6724, - (FP: 4-22-16) - (RN: 4-22-17) - (LU: 4-25-16) by TKO at :45 seconds of round 1. Vera Lam was issued a 30 day no training and 45 day no competition Medical Suspension until June 7, 2016 by Dr. Mitch Jelen. NO SCORES PRIOR TO THE STOPPAGE OF THE BOUT. Judge Francisco Granillo: 29-28 Walker. Judge Rath Ren: 29-28 Walker. Judge Vichai Supkitpol: 29-28 Madison. Defeated **Alyssa Goodridge (Cambridge, Ontario, Canada, 17-4, 128.4, 5'2", 6-9-94, Matt Perez, (647) 709-7082, (FP: 4-22-16) - (RN: 4-22-17) - (LU: 4-25-16) on the scale when Goodridge came in 6 lbs over the 122 weight limit. AT APPROXIMATELY 10:PM FRIDAY NIGHT AFTER LLAMAS HAD ATE THESE TWO RE-WEIGHED IN AND MAKING A 3 ROUND FIGHT AT 128. Judge Francisco Granillo: 29-28 Pedro. Judge Rath Ren: 29-28 Pedro. Judge Vichai Supkitpol: 29-28 Cacho. Defeated **Sarah Purdum (Sherman Oaks, California, USA, 0-1, 137.6, 5'10'', 12-5-88, Marcus Kowal, (424) 269-1337, (FP: 4-22-16) - (RN: 4-22-17) - (LU: 4-25-16) by TKO at 1:25 seconds of round 2. Sarah Purdum was issued a 30 day no training and 45 day no competition Medical Suspension until June 7, 2016 by Dr. Mitch Jelen. Defeated Bruno Quintero (Inglewood, California, USA, 0-1, 154.6, 5'8", 5-18-89, Toby Grear, (323) 909-2769, - (FP: 3-10-16) - (RN: 3-10-17) - (LU: 4-25-16) by KO at :22 seconds of round 1. Bruno Quintero was issued a 30 day no training and 45 day no competition Medical Suspension until June 7th, 2016 by Dr. Mitch Jelen.